Danni Williams helped Texas get back in the win column as the Longhorns took down visiting TCU Saturday (Photo by Jose Mendez/Horns Illustrated). 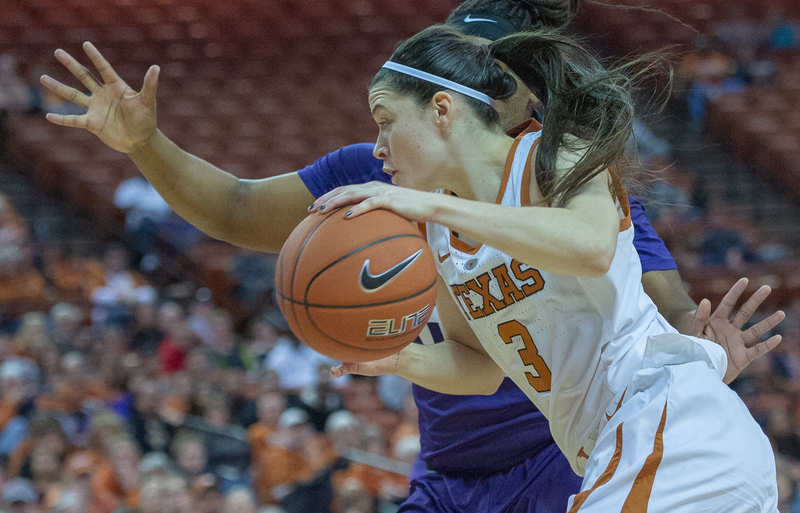 The Longhorns got back in the winning groove with a 73-67 victory over TCU Saturday at the Frank Erwin Center. Texas (15-3, 5-1) showed the all-around excellence that propelled them up in the rankings after a disappointing loss at Kansas State last week, led by 17 points from junior Joyner Holmes. Danni Williams was active and came away with 15 points and five rebounds while sophomore Destiny Littleton added 11 points. As promised, coach Karen Aston found a way to work in freshman Charli Collier and she responded with 14 points and five boards in just 16 minutes of action. Sug Sutton paced the Longhorns with nine points, seven rebound and seven assists, keeping Texas moving forward despite an off shooting night (2-for-12 from the field). That was crucial for Texas as the ‘Horns had leaned heavily on Sutton’s scoring to get wins this season, and the squad showed they can find offense in other areas even when their point guard has an off night. 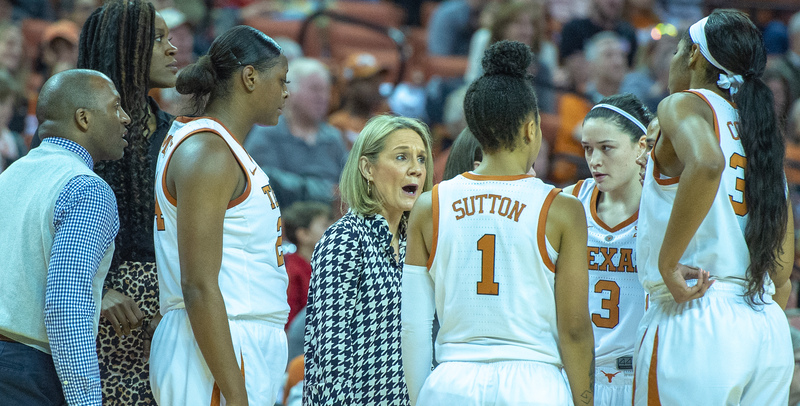 Coach Karen Aston and the Texas Women's Basketball team topped TCU at home Saturday (Photo by Jose Mendez/Horns Illustrated). Back home again on Wednesday, Texas welcomes Kansas to the Erwin Center for a 7 p.m. tip.